The chrome plating on the Terracotta Army bronze weapons – once thought to be the earliest form of anti-rust technology – derives from a decorative varnish rather than a preservation technique, finds a new study co-led by UCL and Terracotta Army Museum researchers. The study, published today inScientific Reports, suggests that the chemical composition andcharacteristics of the surrounding soil, rather than chromium, may be responsible for the weapons’ famous preservation power. Traces of chromium detected on the surface of the bronze weapons gave rise to the belief that Qin craftspeople invented a precedent to the chromate conversion coating technology, a technique only patented in the early 20th century and still in use today. The story has been cited insome booksand media. 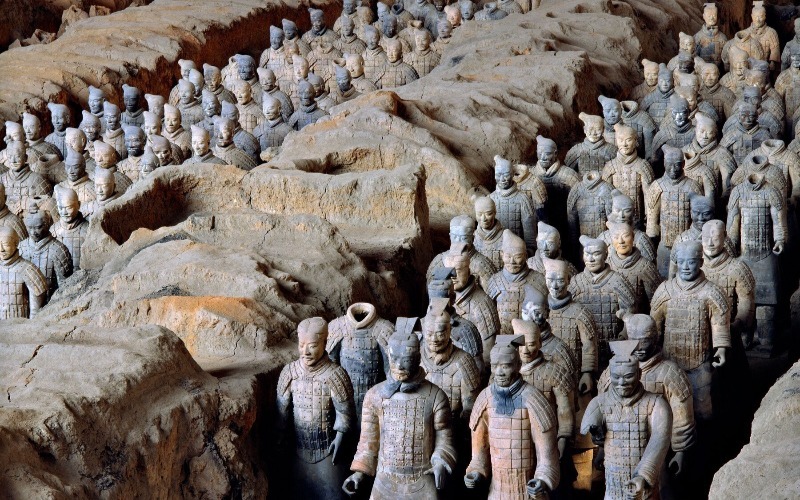 Dr Xiuzhen Li (UCL Institute of Archaeology andTerracotta Army Museum), co-author of the study, said: “Some of the bronze weapons, particular swords, lances and halberds, display shiny almost pristine surfaces and sharp blades after 2,000 years buried with the Terracotta Army. One hypothesis for this was that Qin weapon-makers could have utilised some kind of anti-rust technology due to chromium detected on the surface of the weapons. However, the preservation of the weapons has continued to perplex scientists for more than forty years. “It is striking how many important, detailed insights can be recovered via the evidence of both the natural materials and complex artificial recipes found across the mausoleum complex —bronze, clay, wood, lacquer and pigments to name but a few. These materials provide complementary storylines in a bigger tale of craft production strategies at the dawn of China’s first empire,” said co-author, Professor Andrew Bevan (UCL Institute of Archaeology).